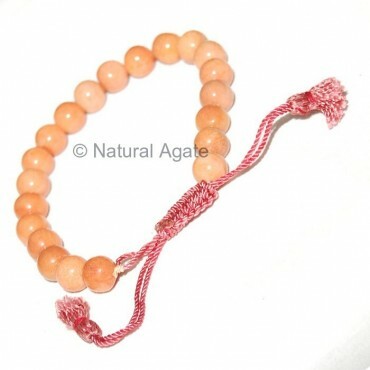 Peach Aventurine Bracelet has a drawstring to adjust the bracelet. The color of the bracelet has soothing and pleasing effect. Buy this bracelet from Natural Agate.